Apple’s March 25th event has come and gone, and while we got a glimpse of new offerings like the Apple Card, Apple Arcade, Apple News+ and more, there was no hardware shown. Instead, we’ve had to settle for surprise updates on their website for the iPad Air/Mini, iMac, and AirPod Gen 2. While many people were expecting Apple to announce a new iPod Touch or the AirPower at the event, it didn’t happen. But it seems that the new AirPods now reaching consumers’ doorsteps contain a curious diagram on the back that suggests the product does support AirPower. Another Tweet pointed out that there is also a mention of AirPower in the code on Apple’s iPhone comparison page. Apple customers have been eagerly awaiting the wireless AirPower charger. There are a plethora of third-party wireless chargers currently doing the job, but nothing can beat first-party support. With March out of the way, Apple’s next event is its Worldwide Developer Conference (WWDC) on June 3rd, 2019. While WWDC is a developer-focused event with an emphasis on iOS and macOS, Apple could announce AirPower there or at any of their other 3 remaining shows in 2019. 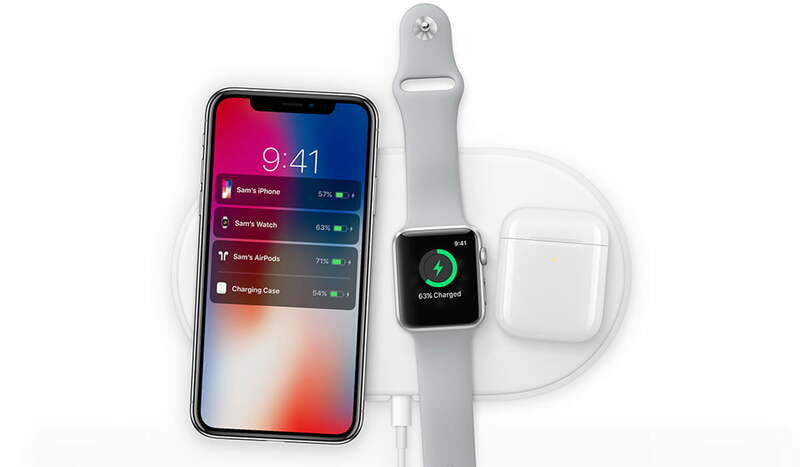 With wireless charging now common in flagship phones and accessories, Apple has to pay more attention to AirPower. The accessory was announced in 2017 but the company missed its promised 2018 release date with no explanation. Apple continues to remain mum on any further updates, so we can only hope 2019 is the year.